Lawyers Sue To Demand Release Of Undocumented Child With Cerebral Palsy The federal lawsuit claims the 10-year-old girl has a constitutional right to be in her parents' care. Border Patrol agents detained her last week following emergency surgery. 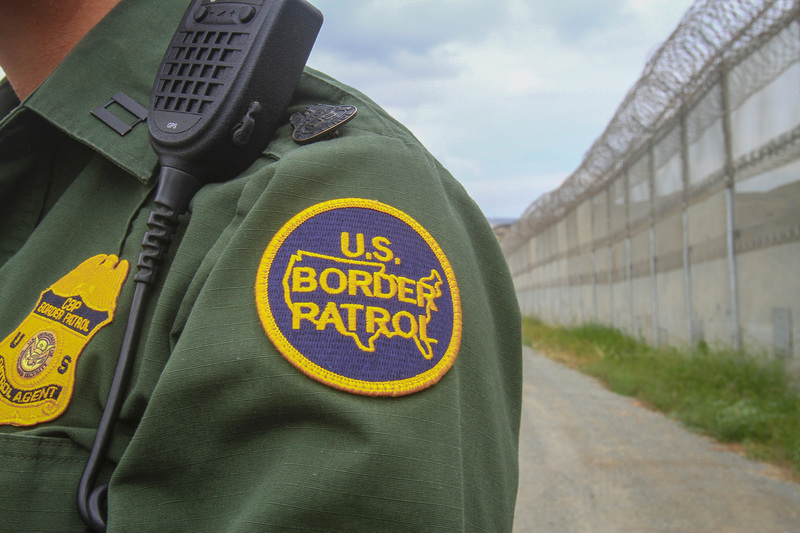 The Border Patrol says it was compelled to follow the law in detaining 10-year-old Rosa Maria Hernandez last week. Lawyers for an undocumented 10-year-old girl with cerebral palsy have filed a federal lawsuit demanding the government release her from a children's shelter. The Department of Health and Human Services has refused. Border Patrol agents — in a highly criticized action — took the child into custody after she received an emergency operation at a hospital. The lawsuit, filed in San Antonio federal court on Tuesday, claims that Rosa Maria Hernandez has a constitutional right to be in her parents' care. The child, who has mental and physical disabilities, has lived in Laredo, Texas, with her mother and father — who are also unauthorized — for the past 10 years. "Rosa Maria is being taken care of by strangers," says Michael Tan, an ACLU lawyer who is representing Rosa Maria. "Imagine sending your child to the hospital for surgery, only to have law enforcement sweep in and take them away from you." Last week, doctors in Laredo sent Hernandez to Driscoll Children's Hospital in Corpus Christi for emergency gallbladder surgery. Because that city is beyond a federal immigration checkpoint, her parents asked an adult cousin — who is a U.S. citizen — to accompany her on the medical trip. At the checkpoint outside the South Texas town of Freer, Border Patrol agents learned that the sick girl was not in the country legally. They took her into custody, followed her to the hospital, and waited outside her recovery room. When she was discharged the next day, they transported her to a child-friendly shelter contracted by HHS in San Antonio. She is now in deportation proceedings. Her lawyers say the girl is "confused" at the shelter because she has never been away from home. Gabriel Acosta, assistant chief patrol agent in Laredo, says his agents followed a 10-year-old federal law for handling a UAC — an unaccompanied alien child. "By law we have to do exactly what we did," he said in an interview in sector headquarters. Most of the immigrant children who have fallen under this law have traveled alone from Central America to the Texas border. It is unusual for agents to take into custody a juvenile immigrant who already lives in the United States. They deemed her unaccompanied because the cousin with whom she was traveling is not a parent or legal guardian. Acosta says his agents were not initially aware that her real parents lived 60 miles away in Laredo. "A white Nissan Sentra entered a primary inspection lane at a Border Patrol checkpoint," Acosta said. The car was marked as a medical transport vehicle. "During that inspection, it was revealed that the two passengers in the back, the cousin was a U.S. citizen and the juvenile was not. She was here illegally. At that point, we had to verify the story and ensure this child was not the victim of trafficking. Once that was established, then our agents — instead of processing her there at the checkpoint — actually escorted her to the hospital." Acosta said as a matter of course "any unaccompanied child we come into contact with, their well-being must be taken into consideration." But Leticia Gonzalez, a lawyer for Rosa Maria based in San Antonio, said taking the girl to the shelter was clearly not in her best interest. Reading the hospital discharge papers, Gonzalez said that doctors recommended the child be released to "a family member who is familiar with her medical and psychological needs." NPR asked HHS if its youth shelters are set up to handle fragile medical cases like this one. Spokeswoman Victoria Palmer sent this response: "As a matter of policy, in order to protect the privacy and security of the unaccompanied alien children ... HHS does not identify individual UAC and will not comment on specific cases." Acosta said his office has received hundreds of calls from outraged citizens referring to agents as thugs, and worse. "Our agents acted compassionately and professionally from the initial encounter to when she was released to the care of Health and Human Services," he said. The lawsuit maintains that Rosa Maria was not unaccompanied. "She's lived in the U.S. since she was 3 months old and since that time her parents have been there to take care of her," said Tan. He added that immigration agents were not required to do what they did. "A line agent always has discretion to exercise his judgment and not target someone for an enforcement action," Tan says. "And this case is the best possible example you could imagine for prosecutorial discretion. There really is no reason for Border Patrol to have gone after a 10-year-old girl with cerebral palsy while she was seeking medical care." Rosa Maria's mother and father have applied to HHS to be named her sponsors so that she can be released to them and come home. Lawyer Gonzalez says that process typically takes two to three months, but because of "special factors" in the Hernandez case HHS is expediting the vetting of her sponsors. The parents are hopeful their daughter can come home in two to three more weeks.